Tina Ness grew up in Minnesota where she still resides with her husband, two daughters and two crazy Boxers. Tina is a romance junkie, food and wine lover, fitness junkie and nutrition enthusiast. She enjoys cross-country skiing, boating, music, photography, travel and simply anything that inspires her. 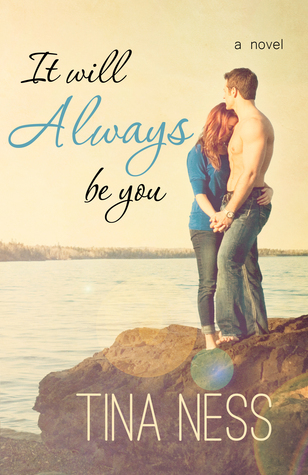 It Will Always Be You is Tina’s debut novel. She is currently working on the sequel. For a chance to win a copy of It Will Always Be You, visit Tina’s Facebook page, or click here to join the Reader Appreciation Author Hop. After surviving four years with a commitment-phobic boyfriend, Elizabeth wants nothing more than to settle down. Too bad the man she desires, Marshall Roderick, leaves her flustered, trembling, and unable to utter a single word when he’s near. Assuming he’s the very definition of a womanizing bachelor, Elizabeth relegates him to fantasyland and makes no move to get to know him. That is, until a chance encounter along the shores of Lake Superior leads to drinks and a steamy romance. Confident, successful, and freakishly handsome, Marshall is everything Elizabeth has been looking for. But when an unthinkable act of violence shakes them both to the core, she discovers that Marshall isn’t as carefree and put-together as he led her to believe. Now it’s up to Marshall and Elizabeth to figure out if their love can heal the scars of the past and turn them into the people they’ve always wanted to be.